Belegarth • View topic - New Realm in Texas!!!! Post subject: New Realm in Texas!!!! Hello all! My name is Kester Tol. 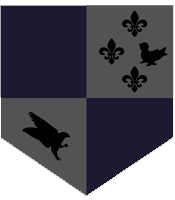 A few friends and I who have been into medieval combat have decided to build a new realm just south of the Dallas/Fort Worth area called the Griffins Fighting Company. If you are in the area, and are interested in joining, please visit our page on the Geddon and shoot us an email. It's nice to finally be on board here. I'm looking forward to this! Post subject: Re: New Realm in Texas!!!! Congratulations on your new realm. Welcome to Belegarth. Welcome! Glad to see more groups in Texas! Thanks for the welcome! Any recruitment ideas? Other people can chime in more than me, but first and foremost, pick a practice time and location, and be there for the whole time, every time, without fail. Even if it's just you sitting with a bag of weapons. Make sure you're consistent when you're starting up. Come Fight with Us! Walk-on's welcome! Short and to the point, but I've found that it often can make the difference between someone approaching and not. Finally, make sure to get contact information for people who come out and have a good time. A Facebook group is perfect, but phone numbers or emails work too. Make up a website and post it on free local sites. Sites like Reddit work well. Include who you are, what you do and where and when you meet. When you post it to other sites, add a short and sweet blurb to get attention. Make at least 4 loaner swords for walk ons, and practice in an open field for extra awareness. When you get new people, a good thing to keep in mind is that they probably have friends that share this interest. Have new guys and gals expand your field. Courtesy and compliments go a long way with getting people to stay. If someone throws a great shoot on you, mention it. Makes people feel good. I just received word that we are the ONLY realm in Texas. I have been in contact with former realm members and they no longer play. So this should be interesting. Any thoughts on starting a unit? Also, what are the major differences between Dag/Bel? I have played Amt before and I'm not a fan of the wizards just standing there chanting some bs then throwing a sticky sock at you. I am not all that familiar with Dag though. It seems as though they are more popular here in Texas. The only major difference between Bel and Dag is the way the national organizations are run. We have a council made of realms, and they have the Atari. They incorporated and we branched off to remain more of a loose organization. Otherwise, there are just a few minor differences in the rule sets, which this handy chart organizes nicely. Just bare in mind that the chart is a little out of date. If you're going to go hit up a Dag park, just check their rules set over before you do. As for units, you can create one or join one; there isn't any official process for either. Really, a units' purpose is to be a group in which like minded fighters can train, socialize, and fight together. You've been fighting for a while, so you probably know pretty much what you want out of a combat sport; if you're interested in a unit, look for one that more or less wants the same things. If you can't find one near you, you can always make one, but it's not a necessity. I've been fighting for nine years and just now started looking at joining a unit. It's all about deciding what you want out of the sport and if there's a group that can help you get there. Are you guys still around? I went past that park a few times on Saturday but didn't see anyone... I am primarily a Dagorhir fighter and drive to Plano on sundays to fight at Illudar. There is a Crowley/Mansfield area Dagorhir group called Dragonreach but practices have been non existant lately. griffinsfightingcompany@gmail.com is the email I have for these guys. Probably a better mode of contact, if they're still up and running.